Knight Composites might be a new name, but they’re not new to the composites game. You might not recognize the name Knight Composites or Project 321, but you should. These two companies have serious industry expertise behind them and are making some of the most impressive composite rims and high performance American-machined hubs in the industry, all at a price that’s more competitive than an ENVE wheelset. The new 30mm internal 29er Enduro wheelset. The Knight name might be relatively new, but the experience behind the company most definitely is not. Consisting of employees and innovators who founded and worked at companies like Reynolds Composites, Felt, Cervelo, Cane Creek and even ENVE, Knight Composites is not learning the composites game – they practically gave birth to it. Tech heads will recognize the name Kevin Quan, one of Knight’s design engineers who penned the iconic P3C and SLC at Cervelo, a Tour De France-winning design. 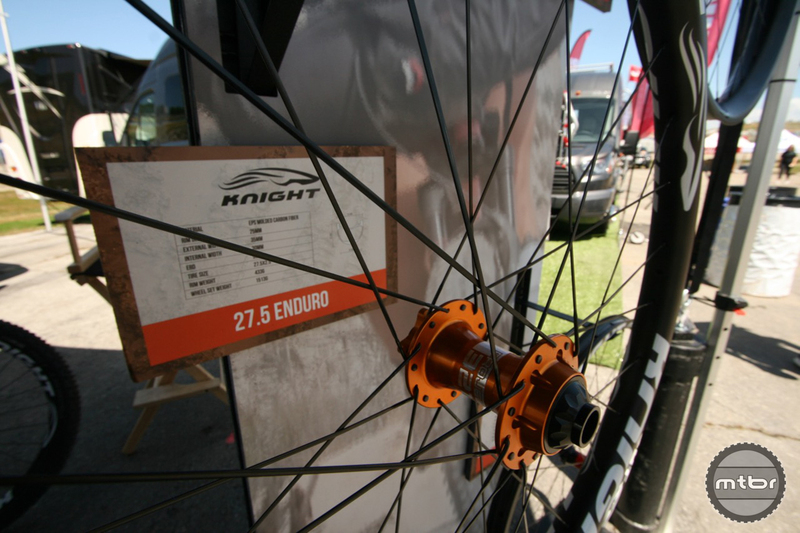 The Knight Enduro carbon hoops feature a 30mm inner rim width and are available in 27.5- and 29-inch diameter. Adding to this mechanical expertise is Jake Liles of Project 321, a contract manufacturer who is known for making Cannondale Lefty adapters for virtually any bike, as well as a complete line of anodized hubs in a variety of colors. 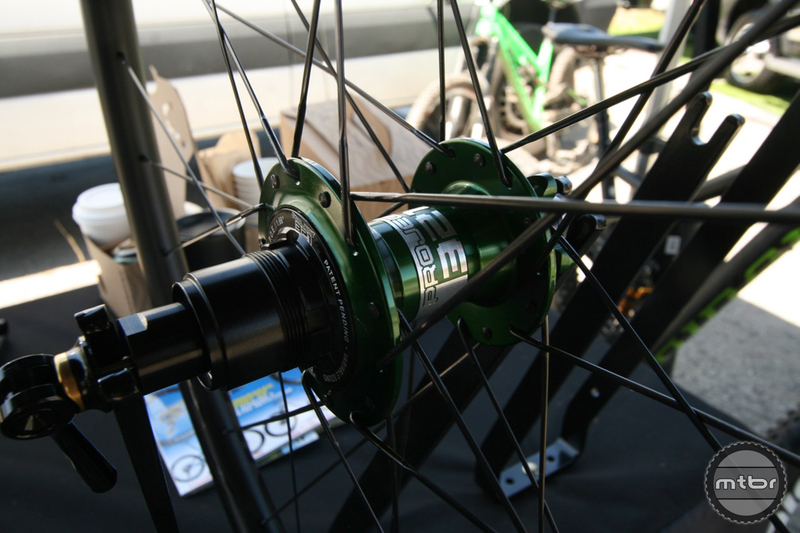 Project 321 recently launched a very ingenious rear freehub design using magnets instead of traditional pawls. The drive system uses six magnetic pawls with 216 points of engagement for an incredible quick 1.66 degree hub engagement. Spin the freehub and action is buttery smooth. 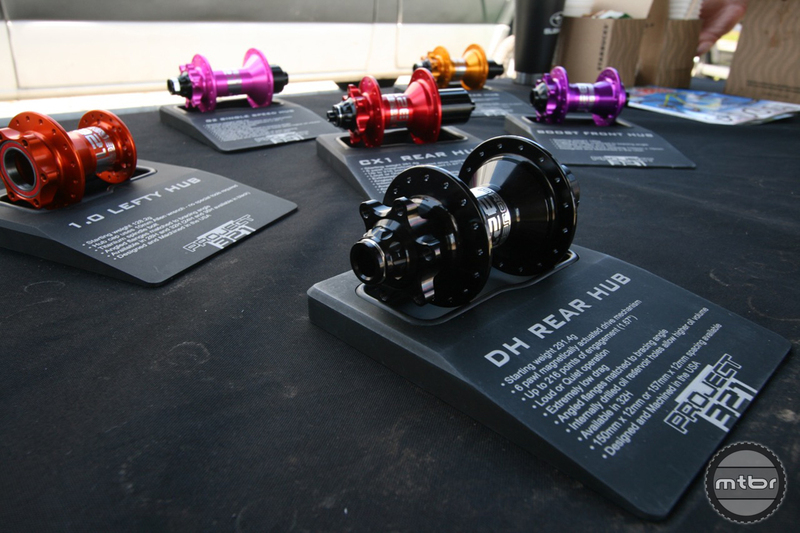 Project 321 magnetic rear hubs come in a variety of hub sizes, drivers and colors. The result is not only lower drag and higher engagement with fewer moving parts, but also the option to swap magnetic pawls that are silent for pawls that make that signature buzz heard on fellow American-manufactured competitors like Chris King and Industry Nine. Liles reports that since launching the design, he’s been very busy keeping up with the interest and orders of his magnetic pawl design. Jake Liles talks about magnets! Knight is based in Bend, Oregon, and Project 321 just closed on a property near Knight, moving this summer from Fresno, California up to Bend in part to collaborate more closely with Knight. By working together, Knight Composites and Project 321 will surely represent a big performance and value threat to the likes of ENVE. The combination of industry experience, innovative leadership and reputation for top shelf durability will ensure that both companies will offer an outstanding product at an incredible value. Stop by their booth and get more details on the range of composite rim widths and wheel sizes as well as hub availability. For more information, visit knightcomposites.com and www.project321.com. Jake Liles of Project 321 and Jim Pfeil of Knight setting up at Sea Otter. The Magnetic Drive cassette body is a truly slick innovation, reducing friction while boasting a quick 1.66 degrees of engagement. Maybe, but I seriously doubt they’ll be able to touch Enve’s customer service at a lower price point. I’ve been so impressed with how Enve has taken care of its customers. think again! Nox matches Enve CS. Enve is no longer the wonder kid on the block. people are building nicer products that are at a lower price. Project321 has been around for a while and are good hubs. The advancement in the magnetic is interested. By the way, fix the link to their web site!! I’ve been trying to find a place to purchase the 30mm internal rims alone. No one seems to have them. Regarding people who think that ALL carbon rims are the same : they are NOT. I rode a set of Light bicycle wheels and they felt rather dull. Rather have aluminum than Light bicycle. I also rode a set of Enve 70 29er wheels. …thought my teeth were going to fall out they were so utterly harsh. Ok for park days. Utterly miserable on long rides. I have yet to try the newer Envy 60 / 30mm internal width built up as a 28 hole with 2 cross lacing…which a wheel builder said would be far better for long rides and far less harsh a ride yet still stiff for turning the bike. Also, the Knight’s are supposed to ride exceedingly well. 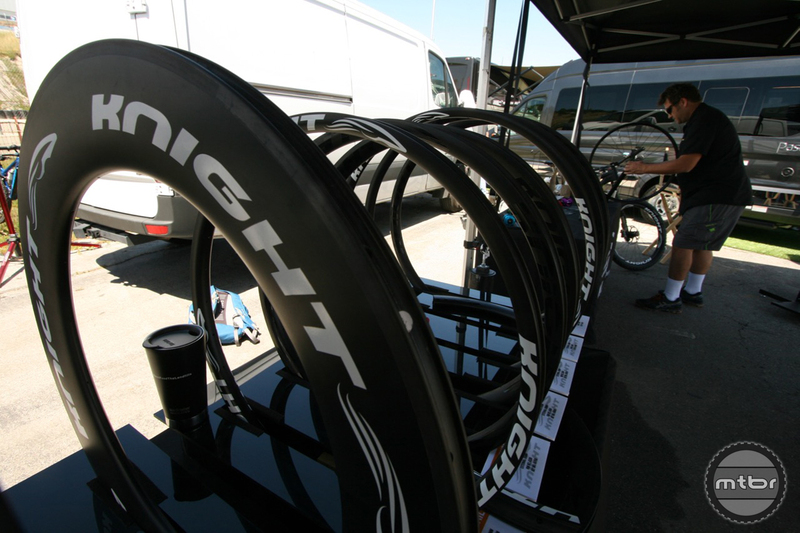 Cheaper wheels like Light Bicycle are not nearly in the same class as Enve, Knight, or even Ibis’s carbon wheels. RIDE them before you buy and see for yourself! CT, You don’t have a clue! !